A really lovely everyday charm necklace. 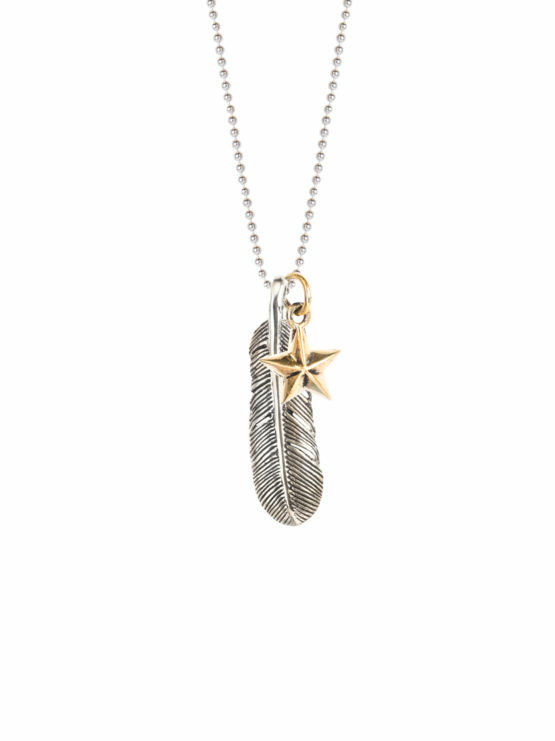 The sterling silver feather, which has been oxidised to give the antique finish, measures 3cm in length. It hangs with a small brass star on a 60cm sterling silver ball chain.